Ethiopia likely has more children and youth alive with diabetes than any other sub-Saharan African nation. Providing quality care for these young people across this large and diverse nation is a challenge. 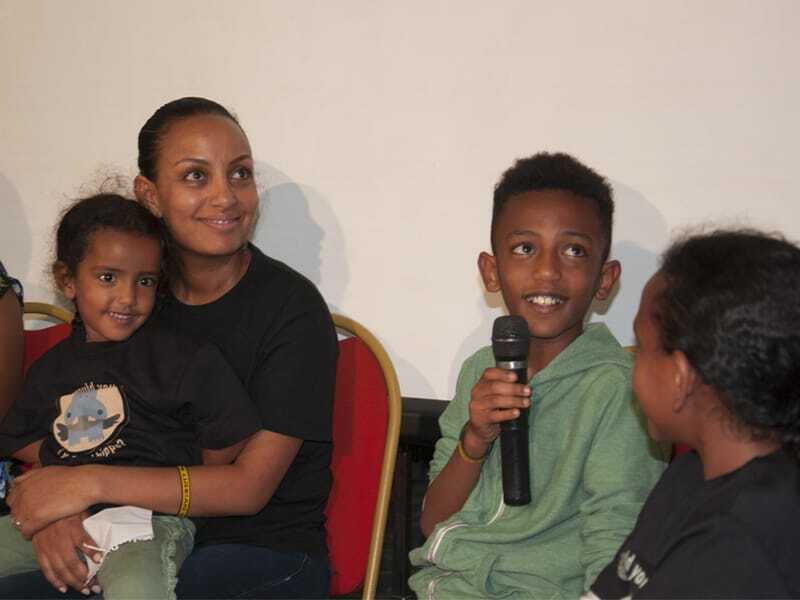 Ethiopia likely has more children and youth alive with diabetes than any other sub-Saharan African nation – almost 7,000 are known to the Ethiopian Diabetes Association (EDA) and supported by the IDF Life for a Child or the Changing Diabetes in Children Program. Providing quality care for these young people across this large and diverse nation is a challenge, as health system resources are limited, and clinical expertise is clustered in the major cities. To help with these challenges, a training workshop on paediatric diabetes was held in Addis Ababa, Ethiopia on 9-11 April 2018. 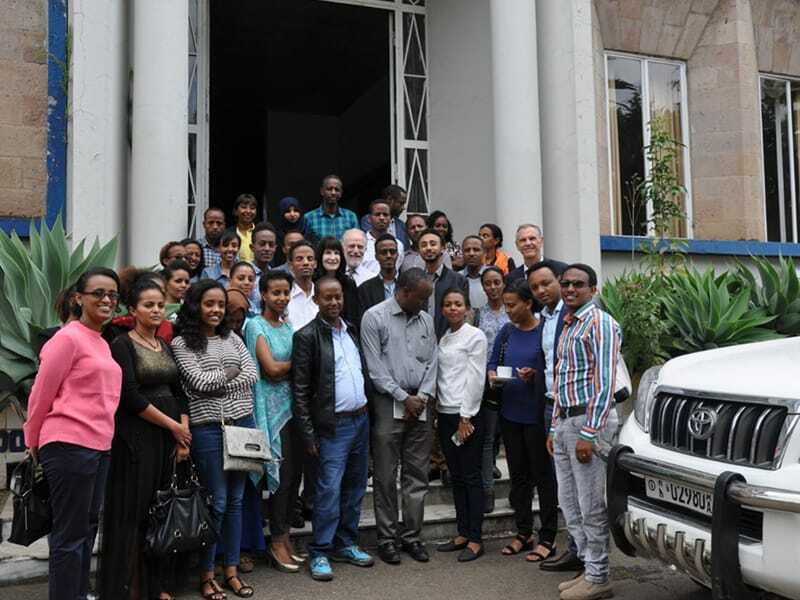 The workshop was organised by the Ethiopian Diabetes Association (EDA) and the International Diabetes Federation Life for a Child Program (LFAC), and accredited by the International Society for Pediatric and Adolescent Diabetes (ISPAD). Professors Francine and Neal Kaufman from Los Angeles, along with me were the overseas faculty. Local faculty included Dr Abdurezak Ahmed, and other experts in diabetes in pregnancy and in children, in nutrition, and other areas. 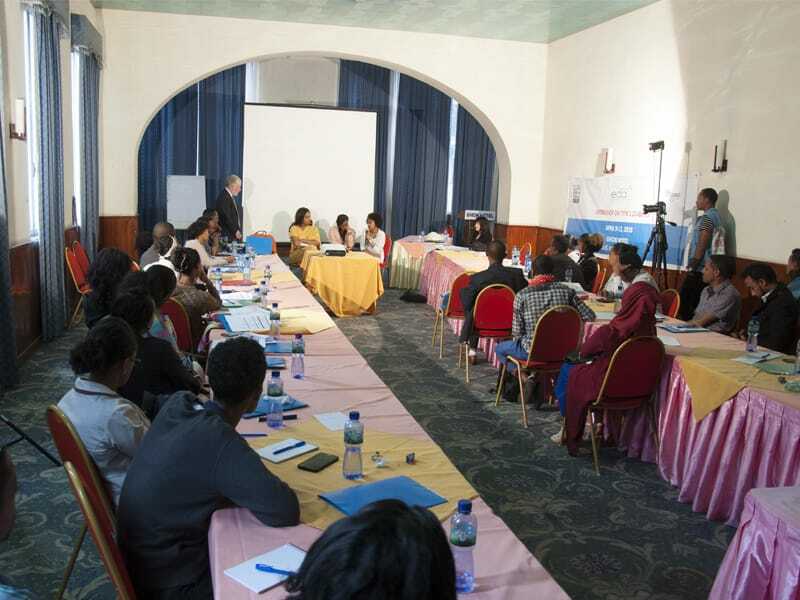 Fifty-one doctors and nurses from various Addis Ababa and regional hospitals in Ethiopia were invited to the workshop, and every invitee attended. All talks were followed by a number of questions from the trainees, and extensive discussion. Professor Francine Kaufman commented that it was the most responsive audience that she had taught. 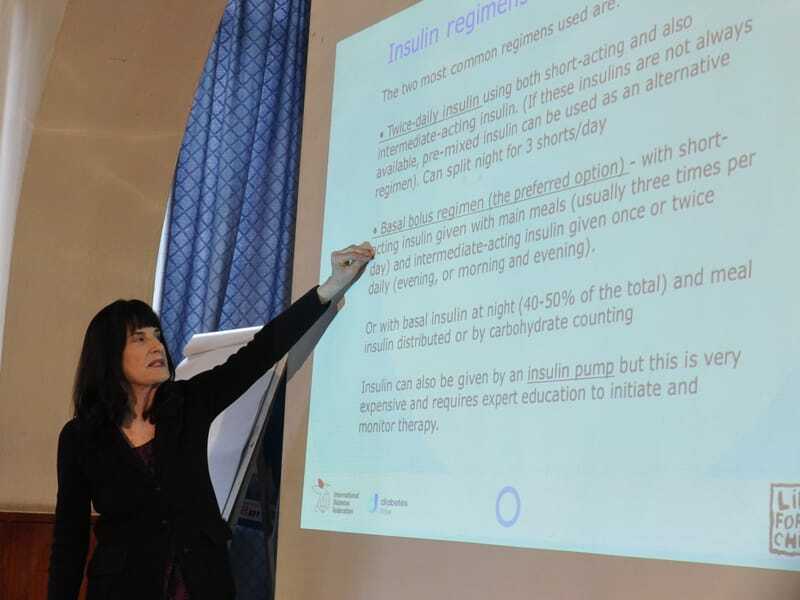 Much of the teaching was based on LFAC/ISPAD Pocketbook Guidelines for Management of Diabetes in Childhood and Adolescence in Under-resourced Countries. The liveliest sessions were at the end of the first two days, when Professor Neal Kaufman interviewed young people with diabetes and their families. Their responses were frank and from the heart. No punches were pulled about the impact of diabetes on lives, and what they thought of the attitudes and responsiveness of health professionals (both positive and negative!). They spoke about delays in diagnosis, and then the shock when they finally had to accept that there had to be injections—that this component would be lifelong (Travis, aged 11, said “Mum and dad cried a lot; I never thought dad cried”). Participants spoke about how hospital staff in Ethiopia were not always sympathetic and how relatives and friends would misunderstand and suggest cures or prohibition of certain foods. They talked about how they could be teased by siblings or restricted from playing sport, but they also spoke about supportive parents and school teachers and how they learnt to give injections as young as seven years of age. Yokabed, now 21 years of age, spoke about how she used to skip many injections and had developed vision problems. Finally, a change occurred when she went to her first diabetes camp (run by the EDA), and met others with diabetes, and started taking all her injections and got well again. All who shared had big dreams, and the older individuals with diabetes were realising them – such as studying pharmacy and journalism, and at the same time helping with diabetes education and mentoring of peers who were more recently diagnosed. Attending parents were formidable individuals, passionate and determined about providing more services and support for families in need. Tsegmalek, now 28, shared about how when he was 14 years he was so angry about having diabetes and not being able to eat what he wanted that he stopped eating food, and hid this from all around him. His rejection of food went on until he had lost much weight and his legs began to swell. He eventually opened up to a cousin overseas, who contacted the family. He was admitted to hospital and turned the corner when the doctor spent time talking to him one-on-one, and told him that “he could be the person he wanted to be in the future”. The doctor also spoke with his mother. Tsegmalek started eating, got his blood glucose under control, and has not looked back. He became an IDF Young Leader, and now continues as a mentor in the EDA, and is working in his profession. Professor Fran Kaufman shared from her forty years of experience with families, saying that every family finds strength and exceptional qualities that they did not know they have. This was abundantly evident as we health professionals listened to these determined and passionate young people and their parents. Even though these were the last sessions of the day, the audience of doctors and nurses stayed, transfixed, empathising and learning. We can all learn from one another! Every family finds strength and exceptional qualities that they did not know they have. We gave eight lectures, answered hundreds of questions, and were delighted to meet and work with 50 physicians and nurses who were clearly dedicated, educated, and motivated to be the best caregivers for children with diabetes. This includes the 3,500 children and young adults who receive their care and diabetes supplies for free through IDF Life for a Child. Nearly all the children with diabetes are in a coma when they are diagnosed, and it is likely many die before that. Remarkably, while the exact incidence of type 1 diabetes in Ethiopia is not known, it is clear the rate of new cases is increasing – and in some areas of the country, this increase is felt to be astronomical. DKA post diagnosis requiring hospitalization is quite frequent, confirming the challenges of managing diabetes in such a poor, stressful environment. Each child and young adult had an amazing story. One was so angry after his diagnosis by the limits his parents imposed on him, he stopped eating for over a month. Despite wasting away, he told no one what he was doing (his parents thought it was his diabetes) until he collapsed. The resolution came when his parents realised he might die if he wasn’t given back control of his life. But for the most part, these were horror stories of years past. Now, due to the Ethiopian Diabetes Association, a better Ethiopian health care system and economy, and because of people like Graham Ogle and the efforts of IDF Life for a Child, things are at least a bit better. There are monthly education classes for families, support groups, camps (they bring children as young as 4 to overnight diabetes camps without their parents), media coverage of diabetes in children, and IDF Life for a Child. The main issue that remains is that of insulin insecurity, coupled with an inadequate food supply. These children totally rely on IDF Life for a Child – the program that is literally keeping most of them alive. Life for a Child doesn’t have the resources to support many young people in this region so many families are faced with terrible challenges. When they have enough insulin, the patients all take shots of regular and NPH insulin two times a day and use the same syringe for a week. None of them have glucose monitoring equipment, or even urine dipsticks. Without IDF Life for a Child, they pay a few dollars for a bottle of insulin that they store in pots of wet sand (most people do not have refrigerators). Those few dollars add up and are more than most can afford – so they skimp on the amount of insulin they take, and as a result, they have elevated glucose levels likely all the time. That is except for the times when they take insulin and don’t have food, in which case they have episodes of severe hypoglycemia. The 3,500 children in Ethiopia with diabetes who receive all their supplies and care for free from IDF Life for a Child are in danger. In fact, all of the 18,500 children in 40 countries across the world who are supported by Life for a Child are equally imperilled because the program needs funds. It needs to raise money, firstly, to continue to provide care for the children currently enrolled and secondly to expand and offer more insulin, more supplies, and take care of more children in need. Please help us keep the amazing children we met in Ethiopia alive by donating to IDF Life for a Child. Prof. Kaufman’s full account of her visit to Ethiopia can be viewed here. 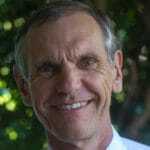 Dr Graham Ogle is the General Manager of the International Diabetes Federation Life for a Child Program, and is based in Sydney, Australia.